If the question is….What Really Matters? Have you ever asked yourself, What really matters? While we don’t stop and ask our self this question every day, it is what man and woman alike have pondered over the course of mankind’s existence. Why am I here? What am I supposed to be doing with my life? When my life does come to an end, how will I know whether or not I made a difference? Harold “Bud” Boughton will tell you he asks himself those same questions. A former Academic All-American football player and college football coach, he has worked for three FORTUNE 500 companies in his business career and helped take a banking software company public in the mid 90’s (NASDAQ). As a published author his three books on life issues, leadership and coaching have touched thousands of lives and his opinions and comments have appeared on the pages of FORTUNE magazine, Inc. magazine and numerous professional industry journals. But, the self-proclaimed “ordinary guy” will be the first one to tell you he also understands the pain and sting of failure. Like many of us, he’s lived through the pain of divorce and he’s been let go from jobs more than once. And yes, as a husband, father and concerned grandfather, he often ponders the question…. What Really Matters? A teacher and coach at heart, Bud Boughton has been speaking professionally for over 25 years. Taking much of the material from his three published books, Bud is very capable of personalizing his message to the specific needs of your organization. As a masterful storyteller, he has a keen knack for telling stories that have poignant messages, messages that resonate and often touch the hearts of those in his audience. Highly creative and entertaining, he is real and when he delivers his message one thing becomes very clear - he has an enduring passion for life. His message of hope will inspire your group and leave them feeling good about themselves and the opportunities that life provides for us all. Looking to inspire your sales team or make your next employee or customer appreciation meeting extra special? 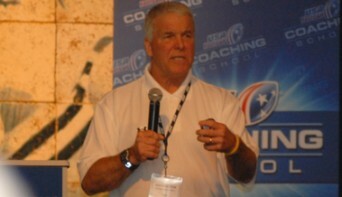 Hire Bud Boughton to be your featured speaker. WANT TO MAKE YOUR NEXT BUSINESS MEETING OR EVENT REALLY SPECIAL? Bud is truly committed to helping others achieve success. Bud Boughton has spoken on a wide range of topics to all types of audiences at all kinds of events. While each presentation has different content and stories as part of the presentation, Bud always finds a way to weave some facet of his inspirational theme, Passionate Performance is Winning Performance! into every presentation he makes. Most of the presentations can be delivered in a 30-minute to one-hour time frame, depending on your needs. Not quite sure what it is you’re looking for? Bud Boughton will “customize” the content of his presentations to the specific needs and requirements of your group.